We're regularly working to improve our platform and make sharing cars as easy and enjoyable as possible for Owners and Borrowers. Here's a summary of our recent new features and improvements. We have made a bunch of behind the scenes changes to our search page as part of keeping our code up to date and ensuring speedy and smooth running of our platform. In doing so, we have also made some functional tweaks. When moving Pickup time to be the same as, or past the Return time when searching for a car, the return will now automatically bump an hour past the Pickup time (no longer showing that annoying error). You may have noticed that we are also testing some other style changes on this page. We will update here when the test is complete and we've decided on which changes we will keep. This changes means no more pre-authorisations locking up your funds, and a clearer breakdown of time, distance, booking and Damage Cover Liability (DCL) reduction fees. Read more. We have added a number of SMSs to help remind borrowers at the right times to upload trip photos. Now that we have put trip photos into the app, it's in everyone's interest that we ensure they are being uploaded at the start and end of every trip. We have also introduced a much-requested SMS, that informs owners when their car has been returned by the borrower. As borrower trips are often shorter than initially planned, this allows owners to plan their transport needs more easily. Owners can choose which SMS notifications they'd like to receive - just get in touch if you'd like to opt-out of some or all booking-related SMS notifications. We've released a new stats dashboard to help Owners track their car's performance over time. Owners can now see their booking numbers, earnings and average availability for the current month, previous month, current financial year, and all time. We hope to add more information to this dashboard in the future. It's only in the web for now (but will be coming to the app), so log in and go to Cars > Manage Car > Stats to check it out. Until now, Car Next Door’s Borrowers paid a flat distance charge of 33 cents for every kilometre. The distance charge covers fuel, plus other running costs like servicing and tyre wear. Owners received 25 cents a kilometre, and 8 cents went to Car Next Door to help cover our costs of running the platform. A flat distance charge was nice and simple - but different cars cost different amounts to run, so an owner of a small, fuel-efficient hatchback would end up better off than someone with a large, fuel-hungry van. To make things fairer (but also keep it simple), owners can now set the per-kilometre rate for their cars at either 21, 33 or 45 cents per kilometre. Read more here. Owners, you can now view photos from your borrower's trip via the booking page. Making it easy to check in on your car, without having to physically be there. 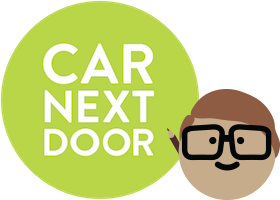 We're giving more people across Australia the opportunity to choose neighbour-to-neighbour car sharing with Key Handover – a new way to share with Car Next Door. This new way of sharing lets you rent your car to trusted borrowers with the peace of mind of insurance and ease of using Car Next Door. We're opening up suburbs across NSW and VIC, with more states coming soon. Read more on our Key Handover page. We now have a number of Hyundai's on the platform which can be unlocked via the trip flow in our app. You will still find our familiar lockbox inside the car with the key for the ignition, however you'll now be able to open the lockbox in the comfort of the car. Service Hours (6am - 11pm) App and Web (Borrowers and Owners): We have restricted bookings starting and ending between the hours of 11pm and 6am. This was due to there being very few bookings that start and end during this time, and now we don't have to worry about our owners needing to help borrowers in the wee hours of the morning. It also means that we can focus our service team on the busy period. Trip Flow App (Borrowers): Taking your next trip with Car Next Door will be easier with the release of a new trip experience in our app tomorrow. We’ve completely redesigned the trip instructions to give you the information you need, right when you need it (and looks much prettier too). This new experience is only available in the app, and you’ll need to update it to the latest version. You can still use the mobile site to access trip instructions, but we recommend using the app for the best experience. Trip photo uploads App and Web: We’re doing some final testing on another exciting new feature. You’ll soon be able to upload your trip photos to us straight through the app or website as you take them. This means you won’t need to switch between our app and your camera or send us your photos on request. Getting in the car and on the road will be quicker than ever! Support messages Web: You can now log in to see, track and respond to all your support messages - go hit 'Support' from the homepage, log in using your normal Car Next Door login details, and click 'Support messages'. Car profile and car listing Web (Owners): We have made changes to the layout of the car profile. Rather than all information being on one page, we have separated the profile out into sub pages to make it easier to find and digest information. This has coincided with changes to the car listing process, which we have similarly broken into smaller steps in order to make it easier to list a new car. Trip Flow App (Borrowers): We are working hard on getting out a brand new Trip Flow for borrowers to use when they have an in progress booking. This has now been released to our Beta Testing group for thorough testing, as it is a big change we want to ensure it works beautifully when we make it live across all users. The new trip flow is designed to ensure borrowers are getting all the information they need, exactly when they need it. We've spent months planning, designing and testing the new trip flow, and are looking forward to having improved borrower experience, as well as reduced confusion and calls to owners. Booking page and list Web (Owners): You can now see a list of previous bookings on your car, or click in to see details of the booking. Check it out. Pretty car descriptions (Owners): Your car description will now show up properly formatted as you intended (with paragraph spacing). This was an oversight that should have been fixed sooner, sorry about that! Blockout end time is now left open Web (Owners): When using the website to make a custom blockout on your car, the end time will no longer automatically set as the current time. This was prompting an error message that 'End time cannot be before start time'. Check it out. Changes to the damage log (Owners and Borrowers): We’re introducing a simpler, more efficient and accurate way to keep track of each Car Next Door car’s condition and are no longer using written damage logs. See more. Simpler to access contact information (Owners and Borrowers): We've created a new contact page on our website to make it simpler to get in touch with us. Check it out. Lower DCL for under 25s (Borrowers): We've dropped the Damage Cover Liability for drivers under the age of 25 to $2,000, or you can reduce it to $500 for an extra fee. See more. Redesigned App (Owners): We’ve made it much easier to do some of the most common things you need to manage your car. See more. Calendar improvements App (Owners): The calendar on the app has had a few improvements over the past few months to make it easier to see the details of your car’s previous and upcoming bookings. See more. Reviews added to the app App (Owners and Borrowers): You can now leave reviews in the App. See more. Improved dashboard Web (Owners): We've released a new and improved web dashboard. See more. Consolidated bookings and blockouts (Owners): As part of the new dashboard design, we have also consolidated owner bookings (formerly called ‘reservations’) and blockouts. See more. What is 'Key Handover' and 'Instant Keys'?